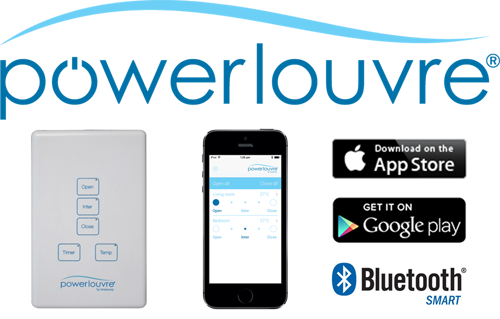 All this and more is now available with the new Powerlouvre™ Apptivate® Control Unit and Powerlouvre™ App – better yet, it is not a highly expensive home automation system! 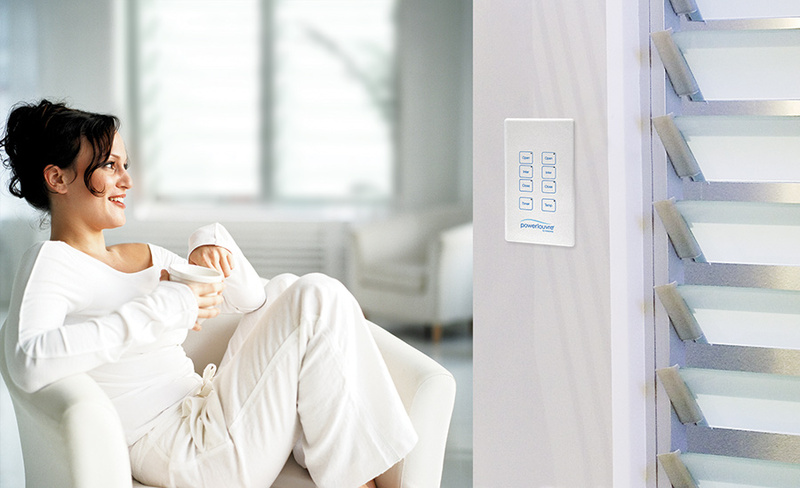 It’s also a fantastic way to upgrade your existing bell press switch. For more information please contact our team of professional louvre experts on 1800 777 758 or visit the Powerlouvre Apptivate page. For technical information, please download the latest Breezway Design Manual from the Technical page. Apple and the Apple logo are trademarks of Apple Inc., registered in the U.S. and other countries. App Store is a service mark of Apple Inc. Google Play is a trademark of Google Inc. The Bluetooth® word mark and logos are registered trademarks owned by Bluetooth SIG, Inc. and any use of such marks is under license.